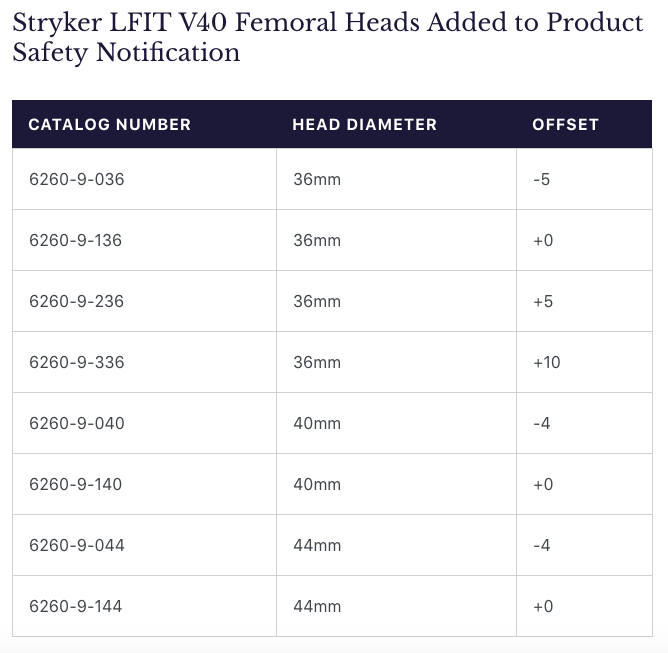 Stryker, a leading company in medical technologies and implants, has just expanded a recall that first started in 2016 for their LFIT V40 femoral head. As of May 22, the recall now includes at least eight other serial numbers. Why is the LFIT V40 being recalled? The recall came after numerous complaints about femoral head/hip stem dissociation. The femoral head is supposed to come together with the stem (or neck), which is the second piece of the hip replacement, to create a more individualized and tailored implant for patients. Instead, these two pieces often don’t fit together correctly causing corrosion between the head and stem due to constant movement. Once corrosion occurs, the metal can leach into nearby tissue and cause serious damage. This condition is called metallosis. For these reasons, it’s imperative that you talk to your doctor to determine if your hip implant falls into one of these categories. How do I get compensated for damage done by a Stryker LFIT devices? 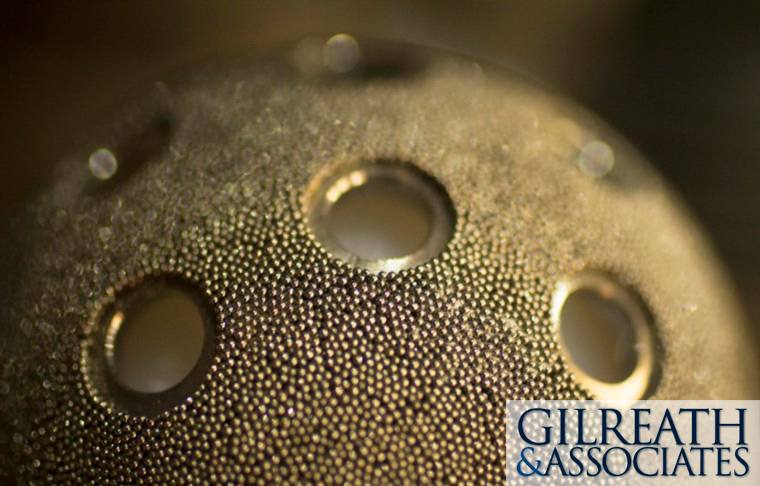 If you or a loved one has experienced complications due to a Stryker LFIT V40 (or other recalled Stryker device) implantation, contact one of our experienced Tennessee medical device failure attorneys at Gilreath & Associates. We’ll work quickly and tirelessly to get the compensation you deserve for any medical bills, pain and suffering, or missed income as a result of defective products. For more questions about Stryker recalls, see our FAQs page.